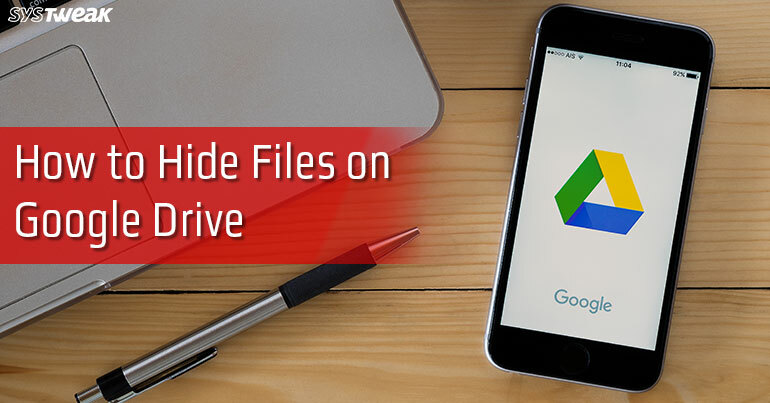 Google drive is the best place to store files for those who are short on the space on their hard disk and for those who are looking to store files on cloud because they want to access them from anywhere. Sometimes we put some files on Google drive because we do not want them to be accessed by anyone who accesses our computer. You may try to hide files deep into the folders on Google drive but by default when you open the drive it shows you your recently uploaded files on the top with a thumbnail preview. So if you are putting some files on Google drive and want to hide them, here is how you can do this. Navigate to the file which you want to hide from the Google drive. Right click on the file and choose “Manage Versions” probably forth option from the top. Now click on “Upload New Version” it will ask you to choose a file from your computer. Choose any file of from any location on your computer you can also choose a file format which is different from the existing file. For example you can also choose a word or .pdf file as the newer version for a jpg image. It is recommended to choose a small size file to save the uploading time. Preview of the newer file will appear and if someone will open the file they will not see the previous version but your old file is still there. You can download your previous file anytime anywhere by right clicking the file and going to manage versions. You will find your old file here and you can download it. You will not be able to restore the preview of your old file so it is a better idea to name the newer version with the same name. This is how now you will be able to hide files on Google drive keep your secrete files on the G drive and download them anywhere whenever it is required.